Hey Everyone! So I recently collaborated with LAFoodie.com and contributed a review on Forma, the new hip Italian restaurant in Santa Monica. Check out the blog post and all the deliciousness at http://lafoodie.com/post/122883963311/say-cheese-forma-restaurant-cheese-bar-is or www.lafoodie.com if you want to search for it yourself! Thanks an oink! Lobster! Lobster! Lobster! Lobster is by far one of my favorite seafood dishes. If it's cooked right, it can be an unbelievably succulent piece of meat that leaves you feeling satisfied. 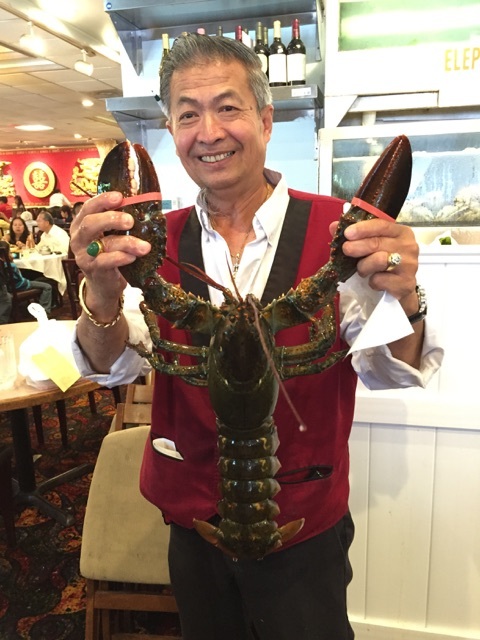 This father's day, my family and I decided to treat my father (who is an old-school Chinese dad) to a decent seafood restaurant that would offer delicious lobster. 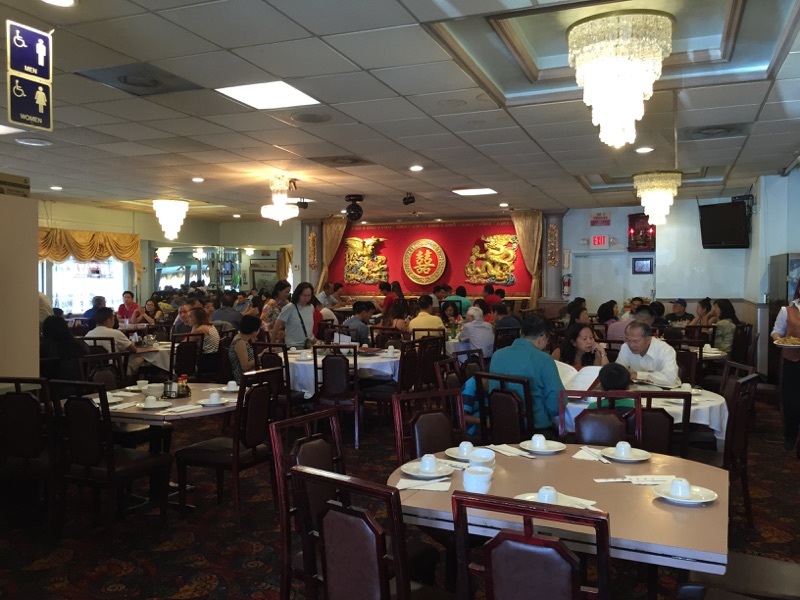 The best part about the restaurant is that the people who run the place is of our Chinese ethnic descent: Chiu Chow, Teochew, Chaozhou...whichever you prefer to call us. Royal Capital Seafood Restaurant is a true, authentic Chinese seafood restaurant nestled amongst fine Vietnamese restaurants in Little Saigon. The food is Hong Kong style cuisine with more than 200 items. 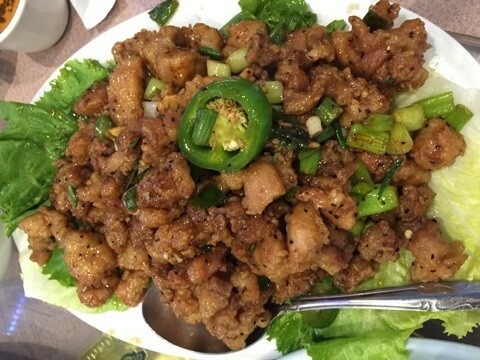 The exterior and interior seems like it hasn't been remodeled since it opened its doors, but don't let that lure you away from sampling this restaurant. The restaurant boasts live fish, lobster and other shellfish for your enjoyment. 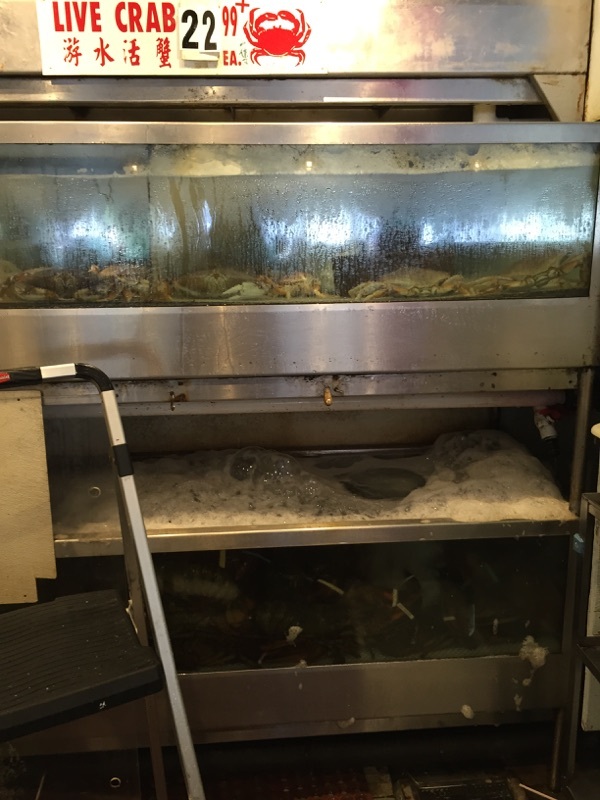 The staff fish out the seafood from their multiple tanks for you to choose the size of the lobster, crab, or whatever seafood you so desire for your dish. If you're not a fan of seafood farm to table (literally), then you may want to turn your head on this one. But, you can guarantee what you're eating is super fresh. MY FAVORITE DISH. 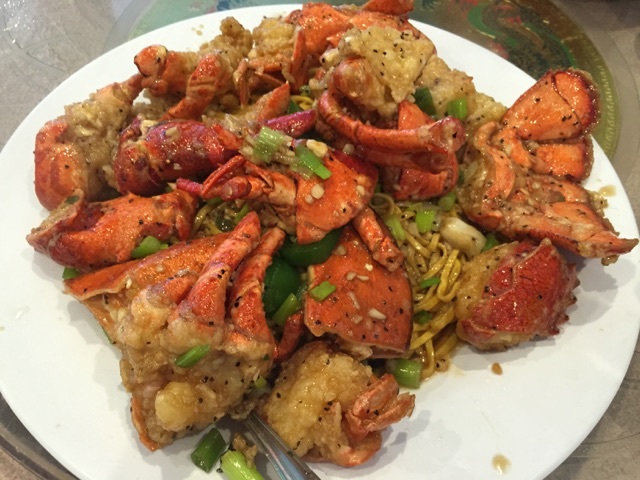 HOUSE SPECIAL LOBSTER E-MEIN (SEASONAL PRICE): Ooh, lobster! This dish is so delicious. The big chunks of lobster is settled throughout the dish. It is lightly floured, deep fried in butter with some pepper and spices. The house special sauce is a buttery flavor blend and is downright amazing. The best part (other than the lobster) is the noodles. The noodles soak up every bit of the house special sauce creating bursts of butter in your mouth and for me...butter is a girl's best friend (next to chocolate of course)! A must order at every visit! PAN FRIED WHOLE FISH ($17.95): This was my second favorite dish of the day. 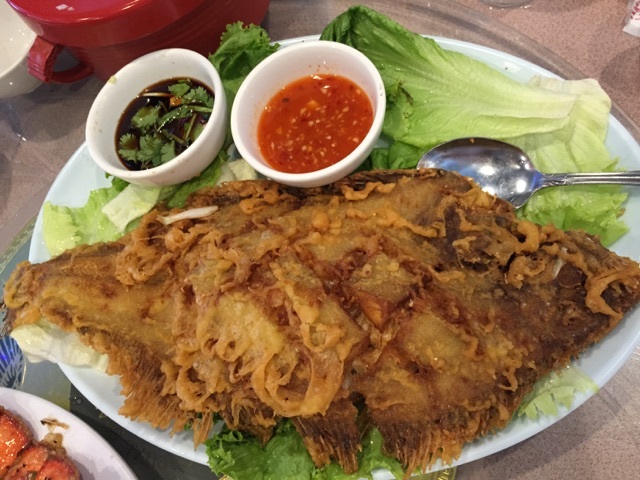 The skin was fried super crisp and the fish was nicely moist and flaky. The dish comes with two sauces: a chili sauce that is slightly sweet and spicy and a soy based sauce that is sweet with a slight acidic flavor. Both went well with the fish but I much preferred the soy based sauce. Another definite must order. 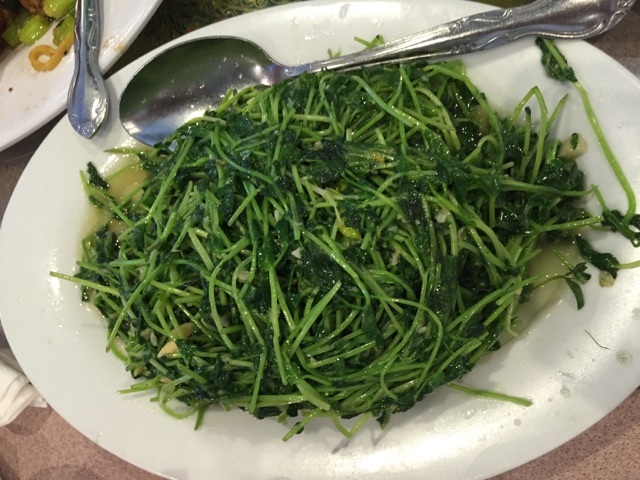 FRIED PEA SPROUTS WITH GARLIC ($10.95): This is a light dish with hints of garlic and a slight bitter flavor from the sprouts. Its a nice dish to accompany the whole meal to cut through all the richness of the buttery lobster. I thoroughly enjoyed this dish. It's not often I eat vegetables! HOUSE SPECIAL CHICKEN WITH BUTTER SAUCE ($12.95): You remember that delicious lobster I was ranting about? Well, the way they cooked that lobster is the same way they cooked this chicken. The chicken pieces are lightly floured and deep fried in butter. It is moist and has a slight crispy texture on the exterior. A good dish. 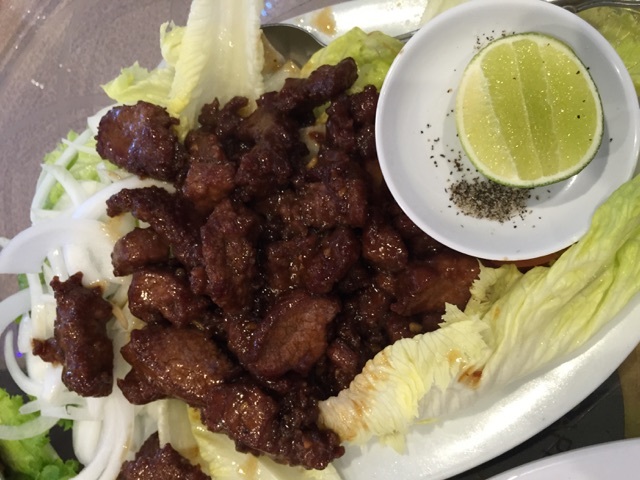 FRENCH STYLE BEEF CUBES ($14.95): This is a Chinese-Cambodian-Chiu Chow dish. The sauce you dip the beef cubes in is a mixture of salt, pepper and lime. The beef was moist and soft but wasn't one of my favorites. I'm used to a really good cut of filet mignon when having this dish and it definitely did not taste like the dishes I've had in the past. 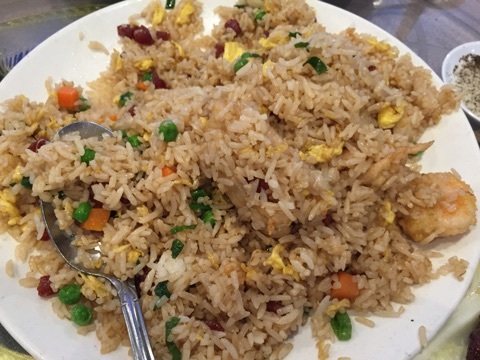 HOUSE FRIED RICE STICK-PAN FRIED ($11.95): A simple fried rice dish with vegetables and shrimp. It was good but it's just fried rice. How good could fried rice be? 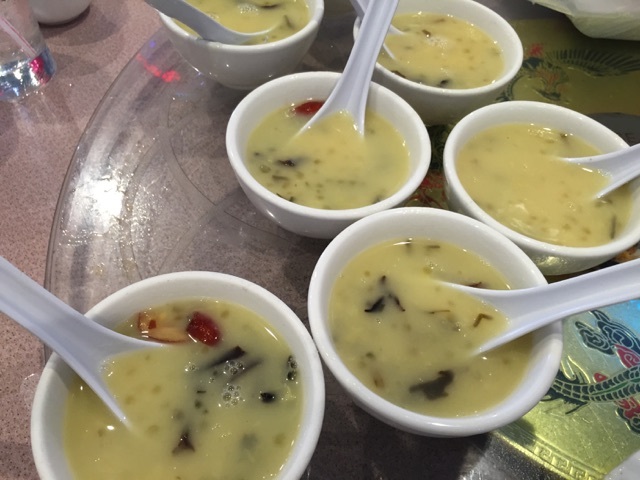 TAPIOCA DESSERT (FREE! ): Sweet, warm and delicious. The broth had a nice, coconut flavor to it. The best part? It's free! Overall, Royal Capital Seafood Restaurant is a great place to gather your friends and family for some delicious Chinese food. The portions are large and they offer a lunch special on a number of dishes that is truly a bargain (though it is not applicable on holidays). The dessert is free and the staff are pretty accommodating. They could revamp the place but if you're just basing it solely on food, the place is legit. Word of advice: the place can get pretty crowded on weekends so go early or expect a wait. Ashland Hill is a fairly new beer and wine garden that recently opened its doors on Ashland and Main street in Santa Monica, CA. Chef Brad Miller, who is the prodigy behind Ox and Son (check out my review at http://www.thefoodseeker.com/2015/05/ox-son-santa-monica-ca-updated-review.html ), brings food and craft beers in a casual yet trendy atmosphere. There is a bar upon entering where you can sip the night away or if you much prefer, a very cool patio in the back. A simple menu formulated on a chalkboard is designed around seasonal ingredients and is Californian. The restaurant is pretty darn busy during weekend brunch. Luckily, we arrived when it opened and by the time we left, the place was packed. The seating arrangement is to first order at the cashier, receive a number, and seat yourself. There isn't much service in that regards, which I think is smart for chef Miller. If you don't have exact change in cash, don't expect to receive your coins in return (they don't provide it and will round up your total bill). As for the food...well, it definitely could use some improvement in that department. ASHLAND HILL BENEDICT ($13.00): Poached eggs, avocado, roasted tomato and garlic smoked paprika hollandaise, roasted potatoes. So my idea of a perfect egg benedict is for it to be cooked perfectly, where you break the yolk and it oozes out yummy goodness to coat whatever accompaniment you're eating. That's what I thought was gonna happen....but it didn't. The yolk was overcooked and there was zero ooze whatsoever. Maybe they hoped the hollandaise sauce would cover up the overcooked eggs. The potatoes were on the soggy end. I was quite disappointed by this dish overall, but in terms of flavor, I could see it trying to be cohesive (but it was hard to look past the overcooked meal). MAIN ST. HASH ($13.00): 2 eggs, lamb and pork potato hash, 8 hour tomato sauce, grilled ciabatta chimichurri. Ah, doesn't this sound delicious? I wanted some meat on this dish but the meat was not present at all. The toast we received was absolutely puny! I was done in two bites (and I tend to take small bites to savor the food). The chimichurri was slighty too acidic. A bit disappointing. On the positive, the eggs were cooked well....but that was about it. MY FAVORITE DISH. NIMAN RANCH PORK BELLY TACOS ($16.00): Corn tortillas, limes, pickled onion, guajillo chili sauce, cabbage, sambal sour cream. The pork belly was good. The sauce (which is similar to a mole) did not have an extraordinary depth in flavor. The cabbage salad was nice and refreshing. The sour cream had a good kick. I didn't love this dish but it was the best out of the three that we had. Overall, I appreciate the casual concept of Ashland Hill that chef Brad Miller envisioned. I was simply quite disappointed with the food that was delivered. Maybe the cooks had a bad day, but I feel the key to success is consistency. The eggs benedict was ill-cooked, the main st. hash missed on delivering substantial ingredients, and the pork belly tacos failed to deliver on deep flavors that I was hoping. I like the ambiance, but I just need something a bit more to make this place a winner. Word of advice: Pay by credit card unless you don't mind paying more for the food you ordered. There are days when I have cravings (I guess it's pretty much everyday for a girl like me). Some of these cravings involve a warm, juicy pastrami sandwich doused with a rich, creamy dressing on rye bread. Depression kicks in when I can't satisfy these cravings. Luckily, my fellow Angelenos and I are blessed with a delicatessen that offers one of the best pastrami sandwiches in the nation. Langer's Deli is a landmark. Founded in 1947, the establishment has earned a James Beard Foundation award and is family-owned. Norm Langer, who worked under his father Al when the deli had only 12 seats, now runs the place. On occasion, you can catch him wandering through the restaurant making sure things are running smoothly. The décor is retro. As soon as you enter, you know you've stepped foot into an historical institution. It seems like nothing has really changed. "It has character," as I would say. The menu is extensive with various items to choose from. What are they known for? Well, the majority of the sandwiches are good and don't forget the milkshakes. The bread? Well, Langer's obtains the rye from the local bakery Fred's. But seriously, all you need to know is the number 19. It's legendary at Langer's. CHOCOLATE SHAKE ($5.50): The shake was rich, thick and full of chocolate flavor. It was enough for two people and is a great accompaniment to any of your entrees. HOME FRIES-LARGE ($4.25): These are large enough to be shared amongst four people. The fries had a perfectly crisp exterior with a slight softness in the middle. I liked the fact that it was crinkly. It's a rarity to find that in restaurants these days. MY FAVORITE DISH. #19. PASTRAMI, SWISS CHEESE AND COLE SLAW WITH RUSSIAN STYLE DRESSING ($16.95): O.M.G. Did I just die and die again? The rye bread was nice and moist. The hot pastrami with the cold cole slaw was a subtle yet soothing temperature change to the palate. The pastrami itself is juicy, rich, tender and with a good amount of fat. And the dressing? Well, its their concoction of thousand island. The pickle that accompanies the sandwich had a mild taste and wasn't overpowering. This is probably one of the best sandwiches in Los Angeles, if not, in Southern California. A view of the interior of #19. HOT APPLE PIE A LA MODE ($6.95): This apple pie looks and tastes delicious. It tastes homemade and is served warm. The crust is crisp and the warmth of the pie softens the ice cream to the perfect texture. Delicious! Overall, you can't go wrong with Langer's for a good ol' pastrami sandwich. The service is great and the staff are knowledgeable. What get's me hyped up about this place (other than the delicious pastrami) is the rye bread. It's baked and then doubled baked to get a crisp crust. Everything is delicious and the weight on the number 19 amazes me (I could probably do lifts with a couple of those). The only downfall about Langer's is the fact that they close at 4pm. So when it's late, and you're feeling the munchies around midnight, you're out of luck. You could only stand at the door and cry in your own misery for not having had ordered a number 19 to go the day before. Word of advice: Parking can get a bit difficult and you might get lucky with street parking.